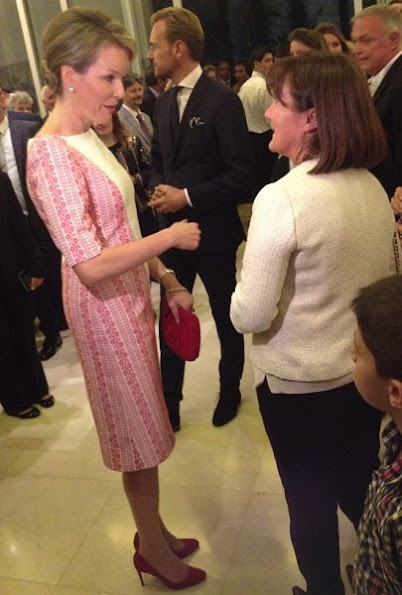 Yesterday, Queen Mathilde attended a reception at the Belgian Embassy in Jordan. 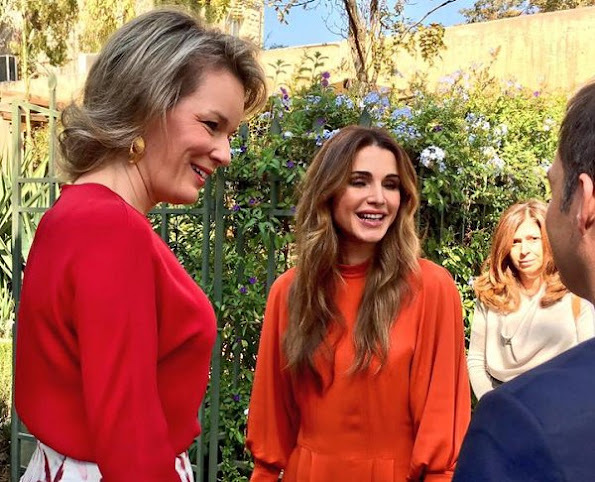 Also, Queen Mathilde and Queen Rania attended a meeting at Belgian Embassy. Mathilde both outfits are terrible. The skirt makes her look fat and the dress, strange two fabrics together. 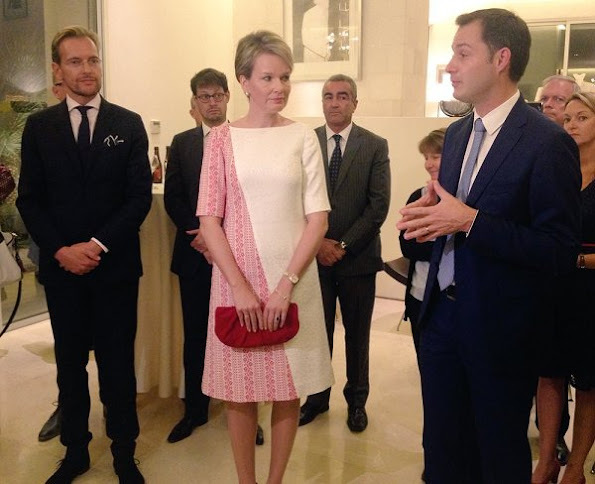 Mathilde, you let us down..........Only the blouse is OK, nix nix the skirt and the horrible dress. Even the hairdo. Rania's dress is awful too. 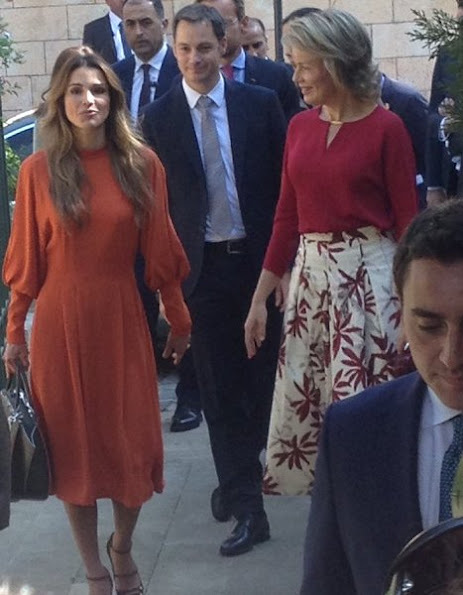 I am so glad Lizzie you think the same as me about Mathilde outfits. the dress(pink and white, is made by Jordanien woman, she wear it for thanking those womans. 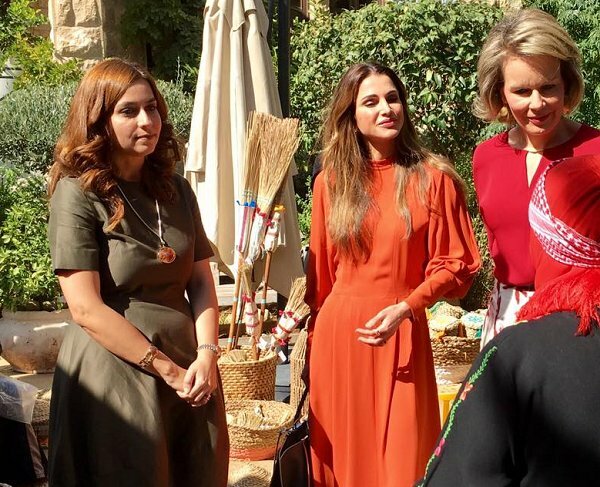 Rania is the last year dressed with no tast, special clothes who are not beatiful. Thanking them for what? That dress is a flop, regardless of who made it. I wouldn't be caught dead in it, even at my ripe old age of 80. Rania's outfit is a flop from head to toe. She has such a bad posture,terrible make up and scruffy hair. Does nobody dear to tell her?